This powerpoint presentation discusses the differences between the theme, the big idea, and a summary of a story. It provides an analogy that helps students understand the difference between the three concepts--something that can be difficult for middle grade students. 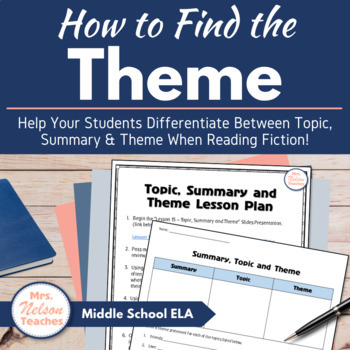 It also provides students with places to look to help discover the theme.